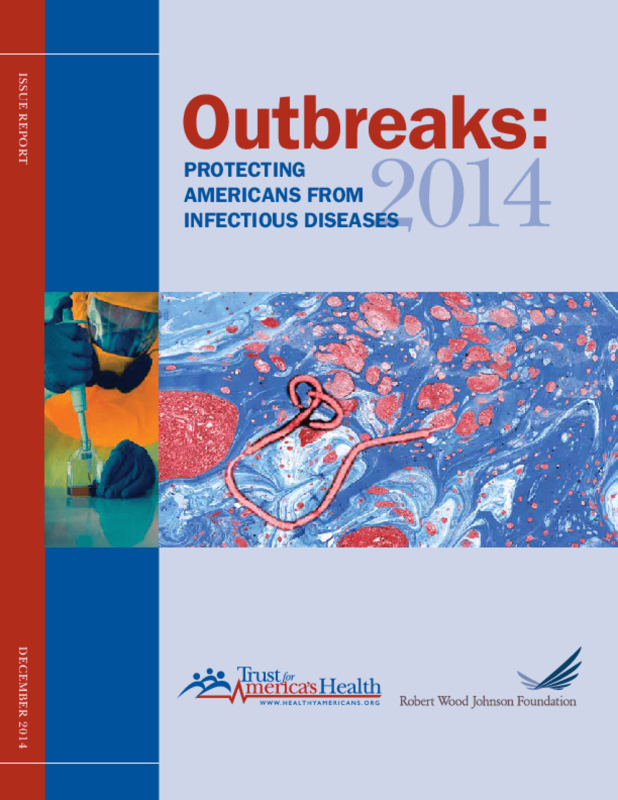 This report examines a range of infectious disease concerns. The report highlights a series of 10 indicators in each state that, taken collectively, offer a composite snapshot of strengths and vulnerabilities across the health system. These indicators help illustrate the types of policy fundamentals that are important to have in place not just to prevent the spread of disease in the first place but also to detect, diagnose and respond to outbreaks. In addition, the report examines key areas of concern in the nation's ability to prevent and control infectious diseases and offers recommendations for addressing these gaps. The Outbreaks report provides the public, policymakers and a broad and diverse set of groups involved in public health and the healthcare system with an objective, nonpartisan, independent analysis of the status of infectious disease policies; encourages greater transparency and accountability of the system; and recommends ways to assure the public health and healthcare systems meet today's needs and work across borders to accomplish their goals.